Taking movement as their tool, Yannis Adoniou and Stavros Apostolatos flirt with the idea of disappearance. 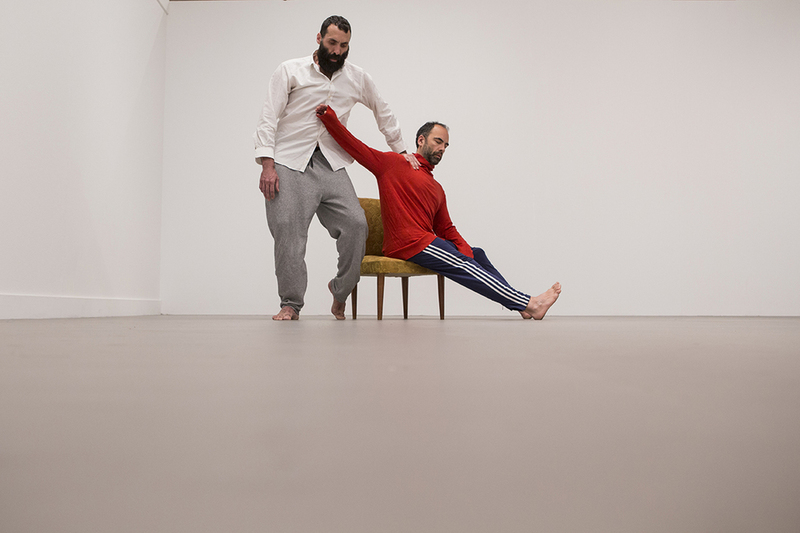 The two performers seek to dissolve their forms — taking as their mainsprings walking, standing and immobility, leaps, collapses and micro-movements — to the point where they disappear completely from view. As their forms retreat, various everyday objects remain in the space to remind us of their prior existence. 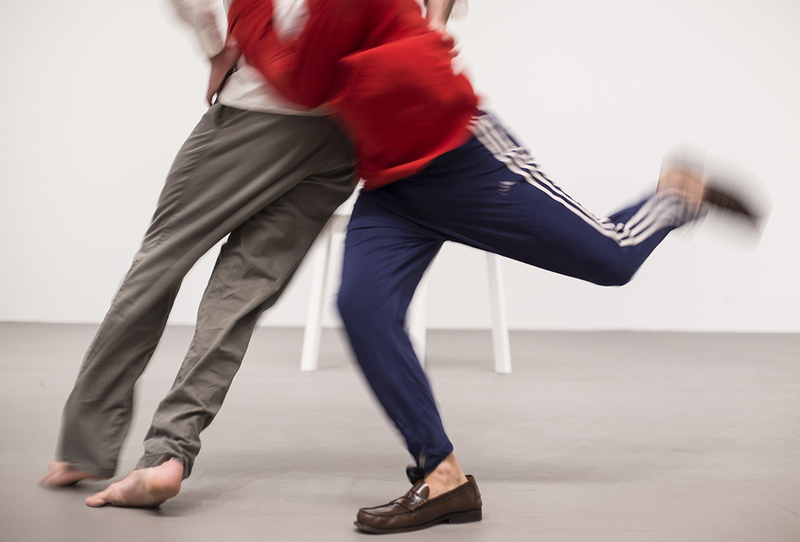 While they never touch, the two bodies remain connected, in visual contact, mutually dependent, and seeking — over the course of eight hours — their own private reality beyond the abilities of the body. The work is not rehearsed; the movements are created each time out of nothing, instinctually, in the split second of each moment.